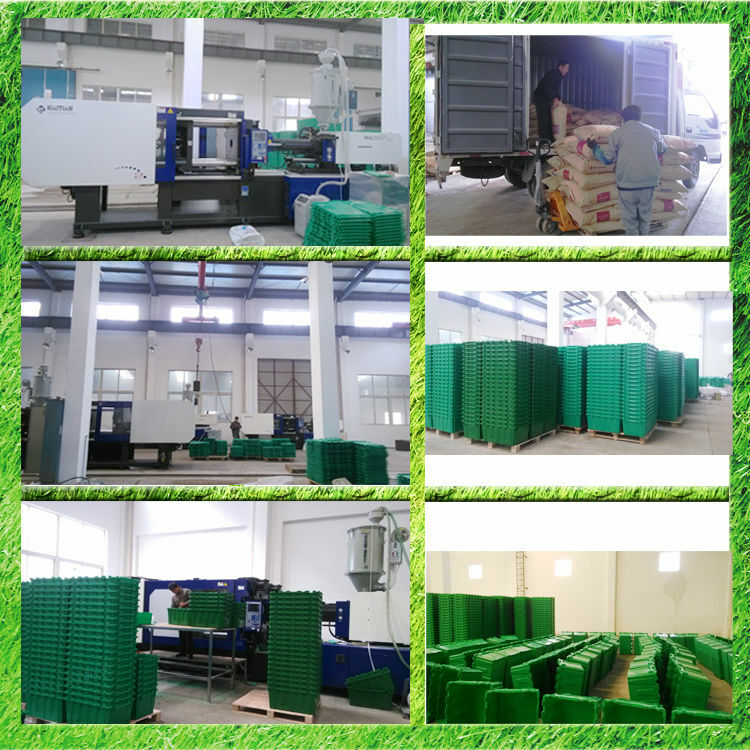 Crates are stacked to the height of container. 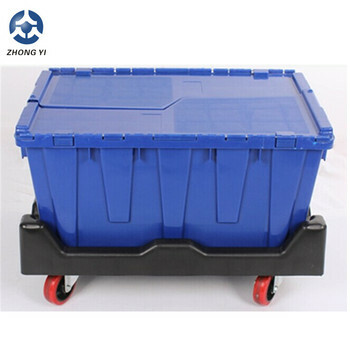 Our Stackable Plastic Moving Box has been purchased a lot by customers in Australia, New Zealand, US, Canada, Netherlands and UK. 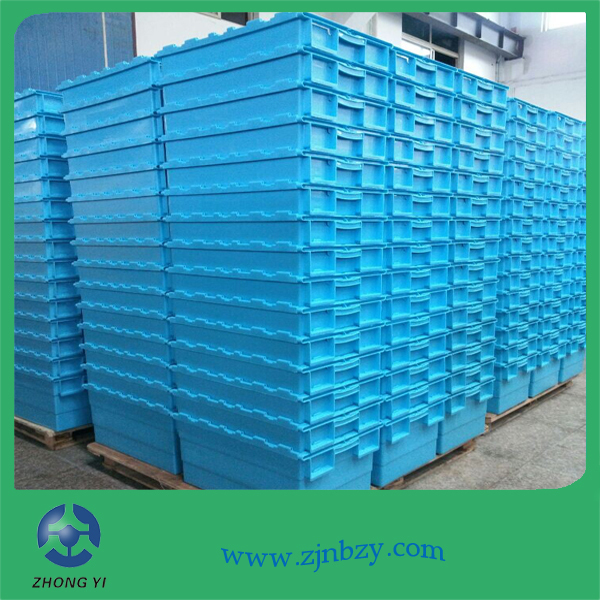 Each Stackable Plastic Moving box stacked into each other and 29pcs for a bulk, loaded in the container. 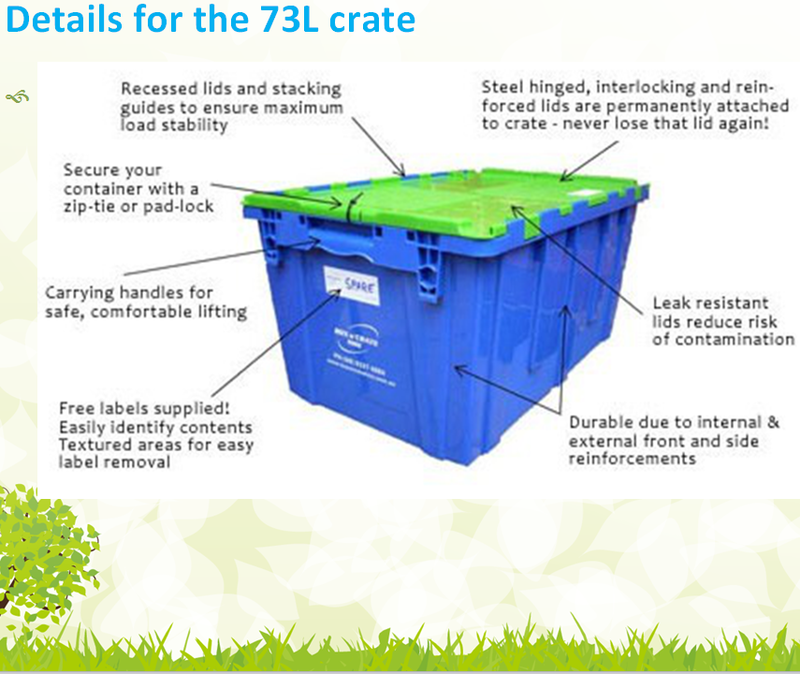 And 780pcs for a 20ft container, 1680pcs for40ft and 1917pcs for HQ. 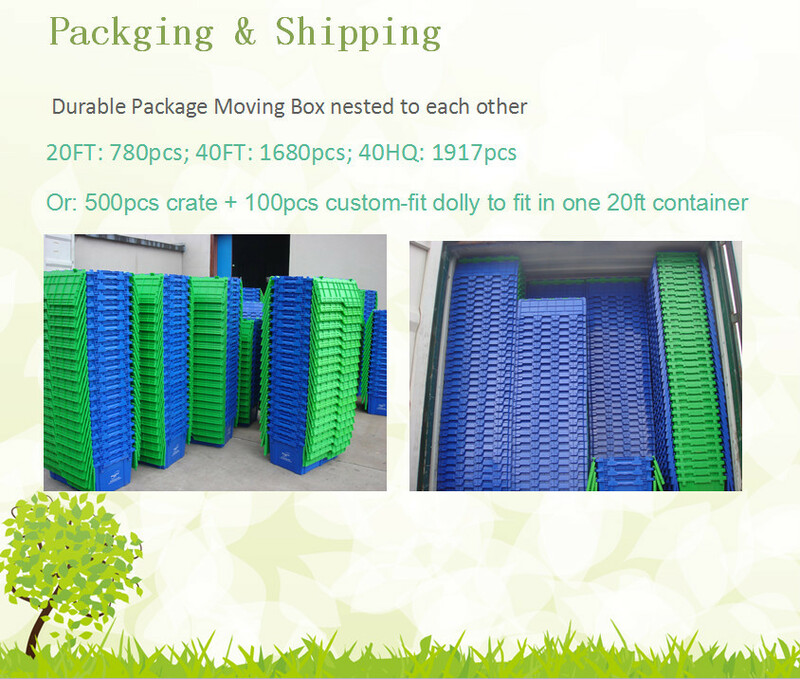 *When a sample ( Each Eco-friendly Plastic Heavy-duty Green Moving boxEco-friendly Plastic Heavy-duty Green Moving box stacked into each other and 29pcs for a bulk, loaded in the container) order is placed, please also inform us of your account No. 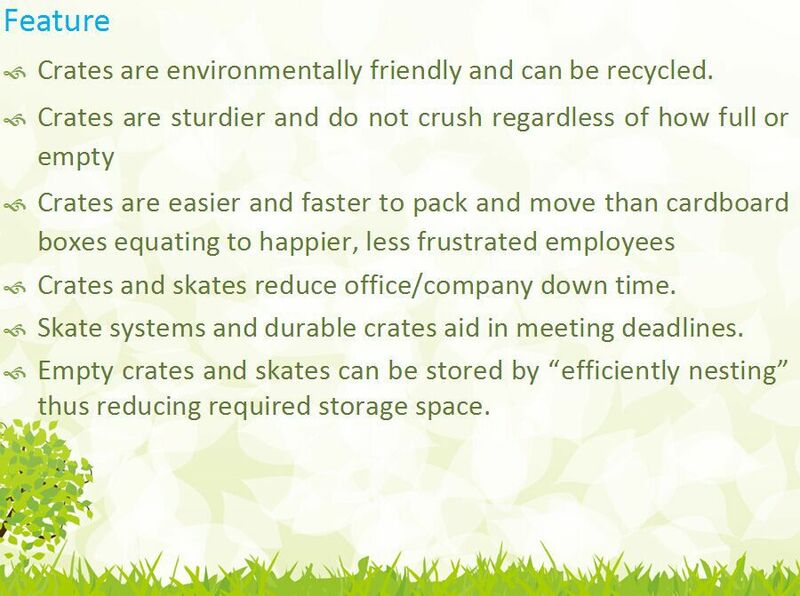 of courrier company, such as DHL or Fedex, full name of company, address, zip code, contact person and Tel. 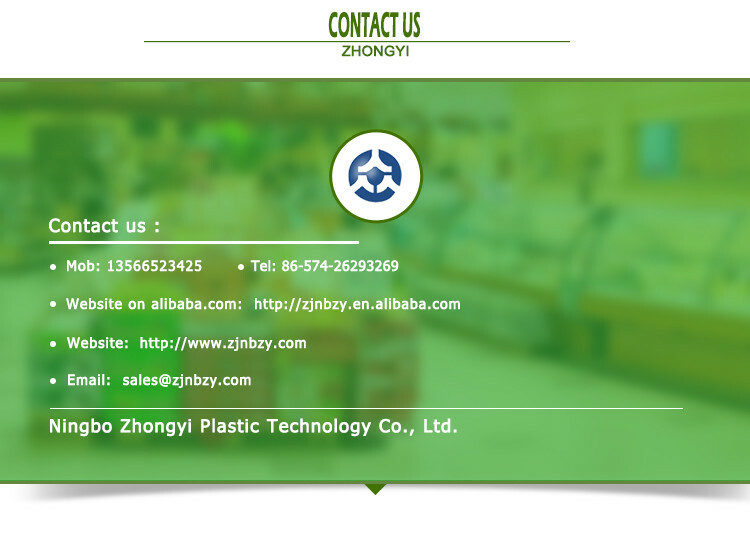 We Ningbo Zhongyi Plastic Technology Co., Ltd is a professional plastic manufacturer as well as a molds producer.We located in Ningbo, which has one of the biggest ports in China. 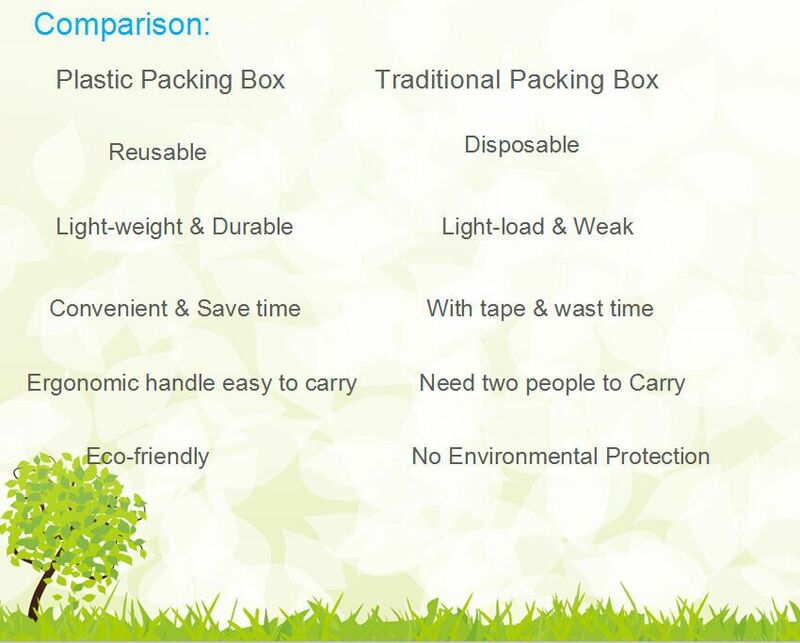 Our forcus is to provide high quality and eco-friend products and so far we have built up steady long-term relationships with the customers across the world. We are sincerely looking forward to have business cooperation with you in the coming future! We truely believe that quality service is what we sell beyond the product itself. 4. Port of Loading :FOB (FREE ON BOARD)NingBo, China and CFR. 5. 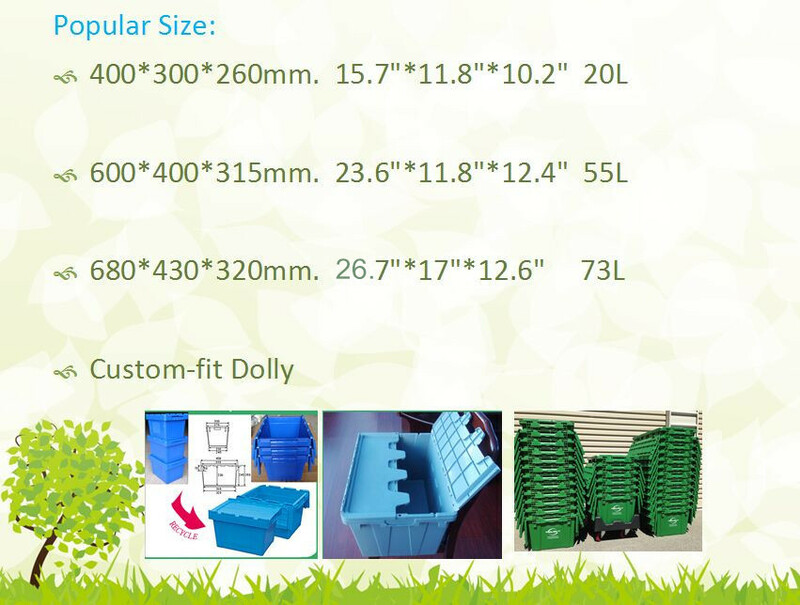 If you need sample, please give me the detailed receives an address, I can help you consulting Courier fee.